In my cellar, the release of 2008 Brunello brings palpable excitement. Though not considered a so-called great vintage, reports are at least good, and there’s a personal stake in the game: ’08 is my son’s birth year. As Jeff once noted in more profound terms than I can aspire to, my young man’s future is, of course, his own. He may gravitate towards the grape, or he may find the stuff vile. But persist I must, setting aside a few bottles that just might have the guile to reach 21, or beyond. It’s irresistible, this idea of a future clink between glasses filled with magic. Which brings us to Pecci Celestino (or is it Celestino Pecci? ), a small family producer in Montalcino who’s relatively new to the Brunello game. Though they weren’t selling their BdM 20 years ago (the family was making wine for personal use only) and I thus have no pedigree on which to reflect, how can I ignore the first ’08 BdM to come packaged with Chairman’s pricing? One thing is for absolute sure: this wine is fabulous now. There are also fleeting glimpses of what it could be, enough that I’m tempted to pull a Hubie Brown and drop tremendous upside potential. The nose, for example, offers warm spice and brooding fruit, but wisps of mushroom tease and tantalize the lover of secondary savor. On the palate, big cherry and tobacco flavors conspire to hide elements of smoke and stinky cheese. The big tannins one would expect from a young Brunello are there for all to see, but they don’t hinder enjoyment, especially when this lovely is paired with a hearty Tuscan ragu. Just the other day, I mentioned $40 as my mystical barrier that separates everyday wine from the special occasion stuff. Unlike the Taurasi of said discussion, however, this wine doesn’t leave a sense of drank too soon; instead it inspires hasty trips back to the store. Does it have the stuffing to go the distance? I’m not sure I’ll be able to wait. 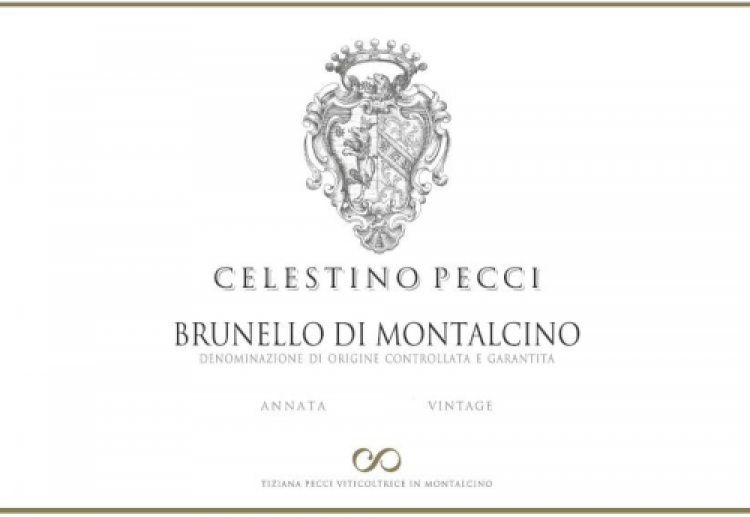 Yes, it is Celestino Pecci…very common for Italian producers to put the family name first,i.e., Marengo Mario or Seghesio Renzo. On their website, I found it written both ways. Great review Mike; I thoroughly enjoyed the 2006 when it was out, and look forward to trying the ’08.